Tickets: €75 per person – all tickets include a 3-course meal and 2-hour interactive show. Please note we are taking 100% payment in advance and the tickets are non-refundable. 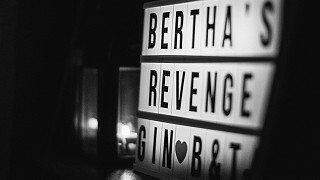 Bookings & Enquiries: Please email us, phone 025 36349 or book online with a credit card or your Paypal account using the buttons below. We are delighted to announce that ‘Faulty Towers - The Dining Experience’ a fully interactive dining and theatre event at Ballyvolane House on Saturday, 8th and on Saturday, 15th December 2018. This globetrotting show is truly quite legendary, selling out in places like Edinburgh Fringe, Norway and Sydney Opera House. 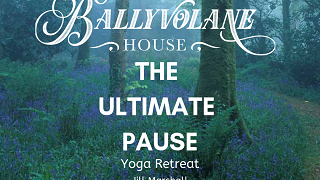 In this, its 21st birthday year, it returns to Ballyvolane House, but be warned: it will sell out here too, so early booking is essential. Chaos greets audiences as soon as they walk through the front door of the main house. In this fully immersive experience, the audience become diners in the infamous ‘Faulty’ restaurant, served a 3-course meal by Basil, Sybil and Manuel. 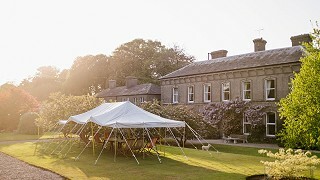 Guests can enjoy drinks in the main house on arrival then Basil will lead guests to their tables in the dining terrace as soon as everyone has arrived. Expect lashings of laughter, huge bowls full of spontaneity and as much participation as individual audience members want. And with 70% of the show improvised, no two performances are ever the same. Ten teams of cast now tour the world virtually non-stop. The cast for Ballyvolane House this December features ¯Rebecca Norris (Sybil), Jonathon Saunders (Basil), and James Heatlie (Manuel). 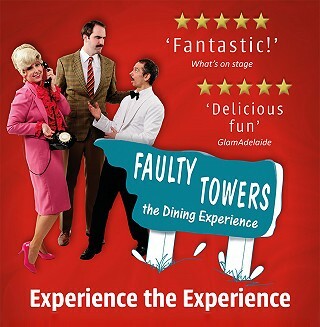 Note: Faulty Towers The Dining Experience is an affectionate homage to Fawlty Towers, the BBC TV series written by John Cleese and Connie Booth. Their original TV scripts and not used in Faulty Towers The Dining Experience.